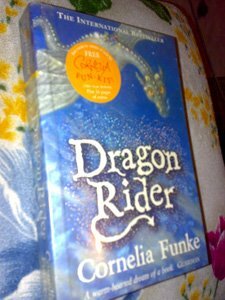 - Originally translated by Oliver Latsch (2000), Dragon Rider was published in 2004 by The Chicken House in the UK and Scholastic Inc. in the US, using a translation by Anthea Bell (2004). 524 pages in the first US hardcover edition. - Funke had a stint illustrating books, but soon began writing her own stories, inspired by the sorts of stories that had appealed to the deprived children she had worked with. - Her international breakthrough came with the fantasy novel Dragon Rider (1996), which stayed on the New York Times bestseller list for 78 weeks. Cornelia Funke has always been a fascination. She keeps on writing wonderful books that are suited for both young and old. And in each book she sprinkles them with intricately created illustrations that she herself have created. But nothing really beats her adeptness and tack in creating believable stories. You might remeber her Inkheart novels that certainly attracted a lot of fans. 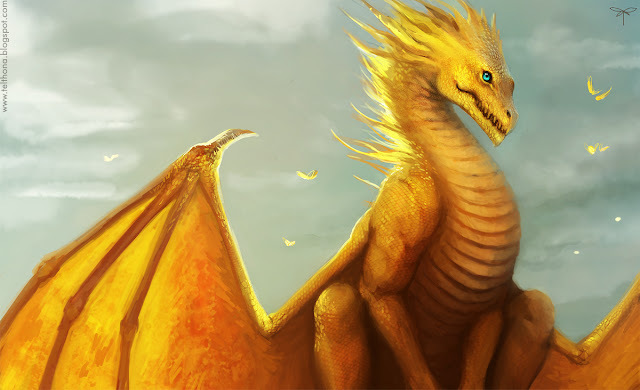 In Dragon Rider she has graced us with a story reflecting the naivete and sense of freedom and adventurous spirit of the author. The kook explores the world in the eyes of a rider astride a gentle dragon that is threatened into extinction. See the unnoticed world of the fae and be sure not to be fooled by their appearances when you crossed path with one. Now take a bold step and read on for a taster. Firedrake, a brave young dragon, his loyal brownie friend Sorrel and a lonely boy called Ben are united as if by destiny. Together, they embark on a magical journey to find the legendary place where silver dragons can live in peace for ever. With only a curious map and the whispered memories of an old dragon to guide them, they fly across moonlit lands and seas to reach the highest mountains in the world. Along the way, they discover extraordinary new friends in unlikely places and a courage they never knew they had. Just as well, for the greatest enemy of all is never far behind them – a heartless monster from the past who’s been waiting a very long time to destroy the last dragons on earth.